Who says tight quarters can't feel spacious and inviting? Certainly not Melinda Hawkes, who masterfully created this enviable workspace within minimal square footage. The light combination of white and wood sets the foundation for a breezy look while maximizing the skylight's sun-giving potential. A long, narrow desk below affords plenty of surface area to get work done, and its finish matches the shade of the boards that stretch along the floor. Meanwhile, a simple striped runner adds pattern and definition to the area, as its horizontal stripes elongate the length of the space behind those cute metal chairs. But the real key to making these visuals as expansive as possible is killer organization, and this room has it in spades. Floor-to-ceiling cubbies offer ample storage, while its ultra-careful organization prevents the open-shelving from appearing too cluttered. Last but not least, the small addition of numbers on the bins allow them to fit into the clean aesthetic, while ensuring that everything inside will stay in order. 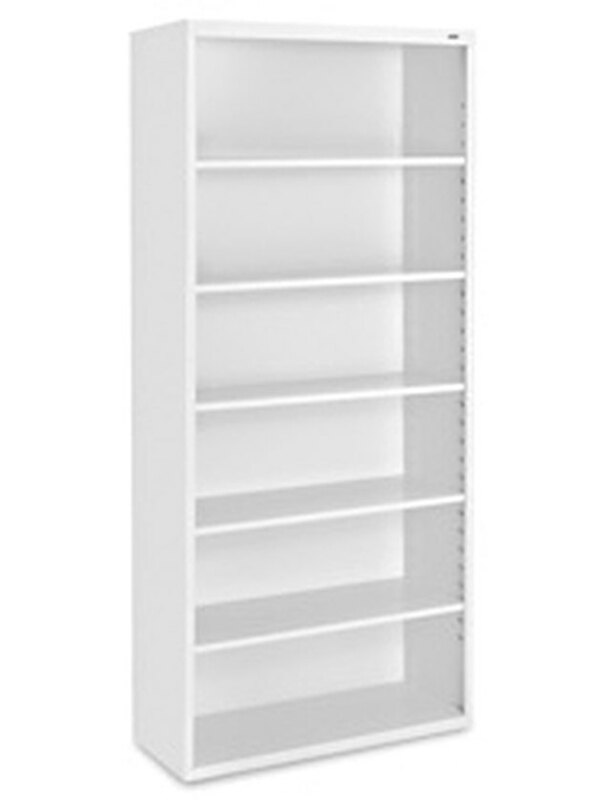 Say goodbye to your small space woes and hello to space-saving organization with this shelving unit.